Morgan James is the only player in college football who can be seen on hockeyfights.com. James is a 25-year-old former minor league hockey player who has joined the UC football team as a preferred walk-on. James says he began training to make the transition from hockey to football about a year ago. Video of him lifting weights and doing football drills can be seen on YouTube. But how did he wind up at UC? “He’s got a body that you would go out and recruit,” said head coach Tommy Tuberville. James is 6’6”, 295 pounds, and has been timed at 4.9 in the 40-yard dash. At Camp Higher Ground on Sunday, James lined up with the third string offense at right tackle. So why didn’t he ever play football? The Michigan native played professionally for two years and admits that his role was often to be the team enforcer. 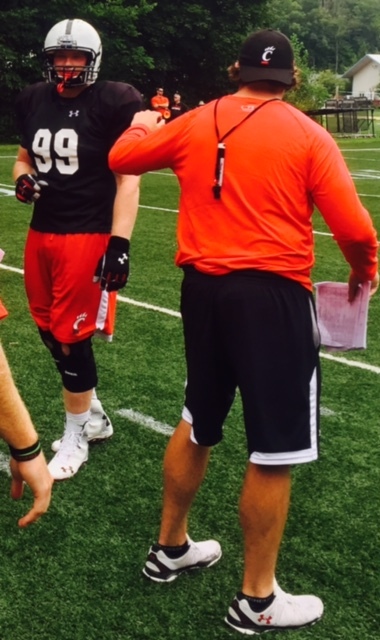 Despite his age, James has four years of football eligibility remaining at Cincinnati. “He’s like a ball of clay that we’re going to try to mold,” said Hiller. 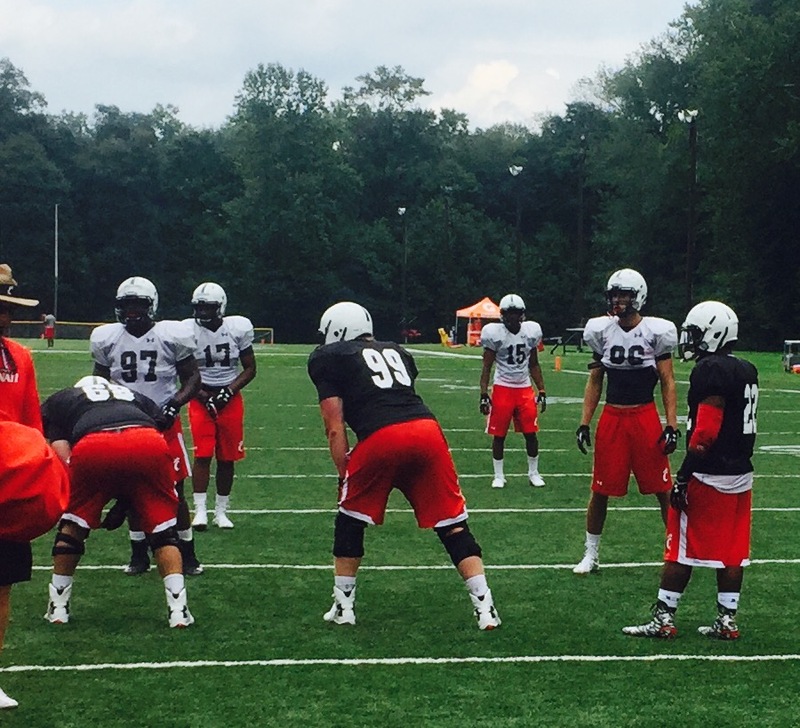 “We’ve started from ground zero with him,” said Tuberville. “It will be interesting to see how much he develops in a couple of years.